Hanoi (VNA) – The Vietnam Internet Network Information Centre (VNNIC) urged that the management and oversight of websites using international domain names be strengthened to prevent violations. Tran Minh Tan, VNNIC’s director, said at a conference on evaluating Internet information through domain name management, recently held in central Quang Binh Province, that websites which were found to violate rules were mainly those using international domain names. Tan urged provincial departments of Information and Communications to enhance management of published content on websites, especially those with international domain names, registered in their localities. Updates about domain name registrations must also be regularly reported, according to VNNIC. Recent statistics from the Ministry of Information and Communications revealed that some 90 percent of websites found with violations used international domain names. 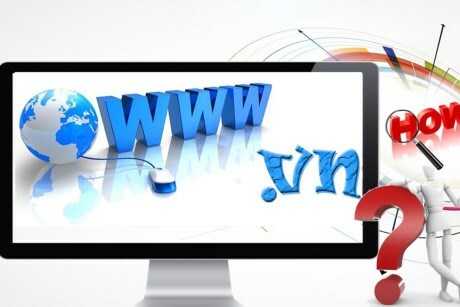 The ministry said any entity living and working in Vietnam when connecting to the Internet using national domain name “.vn” or international domain names must comply with the Internet management regulations of Vietnam. At a conference in May, Deputy Minister of Information and Communications Phan Tam said the ministry would enhance management and inspection of the use of international domain names this year. In addition, the ministry would revise relevant regulations for amendments to improve management and ensure healthy development of Internet information, he said. VNNIC estimated that the number of international domain names registered in Vietnam is now equivalent to national domain name “.vn”. VNNIC said that some 70,900 “.vn” national domain names were registered in the first half of this year, bringing the total number of registered “.vn” domain names to more than 408,380.